New artwork about Disney's California adventure Placemaking were released or appeared recently, and we're going to have a little look at them. As always, double-click on each picture to enjoy them in bigger size. 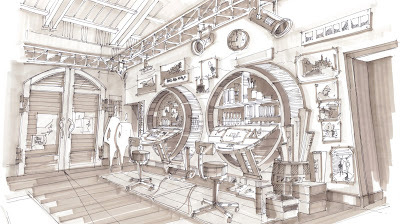 First, this one above showing a room of the awaited DCA preview center - now called "Blue Sky Cellar" as it is installed in the previous "wine cellar" - schedule to open next monday Oct 20! Al Lutz did a brilliant update about it this week, with much details of what you can expect to see inside. 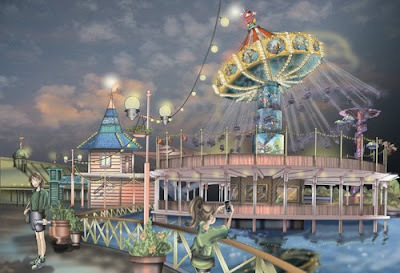 Also published first on the L.A Times Brady MacDonald's article, this new rendering of the future "Silly Symphony Swings" attraction, previously the Orange Stinger. Themed on the 1935 Mickey Mouse cartoon, Silly Symphony Swings should have Mickey dressed as a band leader on the top of it. 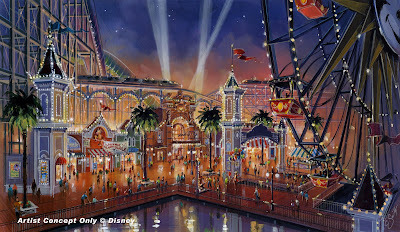 I think i've showed you before this artwork of the Paradise Pier makeover. 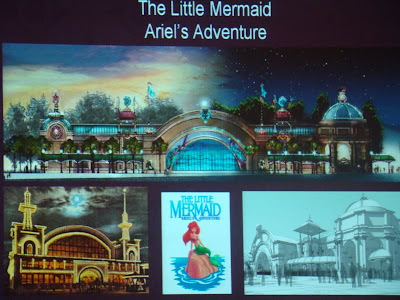 Themed like a 1920s California seaside amusement park with a Victorian architecture, it should be a wonder when it will be completed in spring 2010. Now, we also have to thanks Mice Chat member BFJen for the next pictures originally posted on the Mice chat forum. There is little doubts that the artwork below will be display in the Blue Sky Cellar preview center. 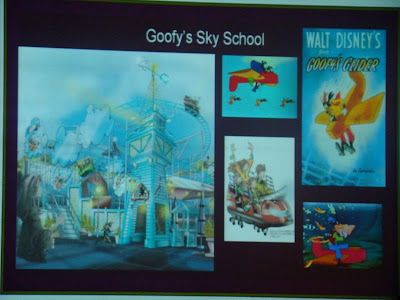 This one below also show the future "Silly Symphony Swings". 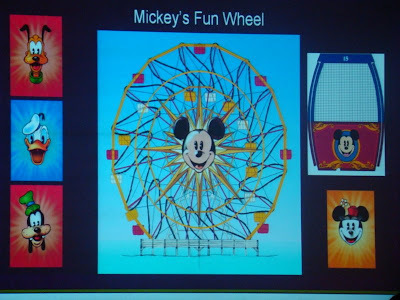 But this one is related to Mickey's fun wheel, the new theme of DCA's Sun Wheel that closed today, as works on the new version will precisely begin soon. 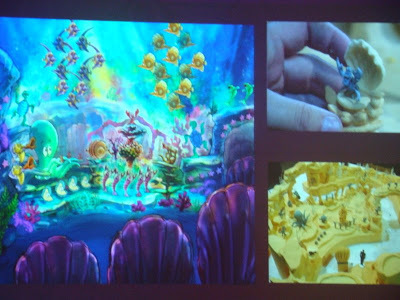 No need to say that the "Under the sea" sequence will be one of the highlights of the show, among many others in this attraction schedule to open in 2011. Can't wait to ride it, really! Thanks for the update! 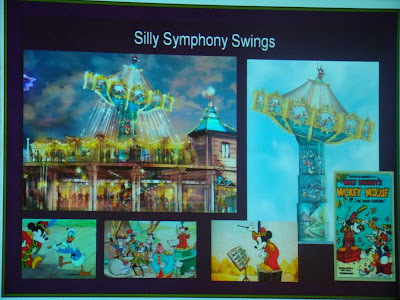 I agree they need to do more regarding the silly symphonies swings. It looks like your typical carnie ride!